Discussion in 'Amps and Cabs' started by mixsit, Apr 12, 2016. Our last gig got me back to considering a possible cure for the typical narrow guitar cab's dispersion. I really don't care for the fact that any resemblance of what ever tone you have set, only exists in a 30 or so degree cone in front of the amp, and half the time you can hardly hear other amps just several feet away. Obviously this is for smaller gigs not a miced up stage setup. I worked up a few examples to see how this might pan out with a 13 deg cab. But a stage plot here led me to rev2, with each speaker 20 degrees out. Basically at this point I'm looking for advice, first if there's holes in the idea I've missed, if not, some help with speaker questions, or cab makers could be helpful. BTW I run a LoneStarSpecial usually, up on a bench already and with the Mitchell Donut'. That really does help with the very top tones spread, but that is neither wide enough nor meant to effect low enough in freq. Hopefully this isn't so out of whack there'd be no interest at all. Ok for a weekend bump? Build one of these, up dispersion by 40% with other pluses. Looks dopey but works and sounds great. Plans are cheap, materials are cheap too. Construction is easy. Khromo and DeaconBlues like this. Thank you. That isn't something I'd thought of -going cross fire instead. I've had amps up on a bench for ever, don't want to angle up but I'll def check that out. Did you ever build your splayed 210 design? If so, how did it turn out? 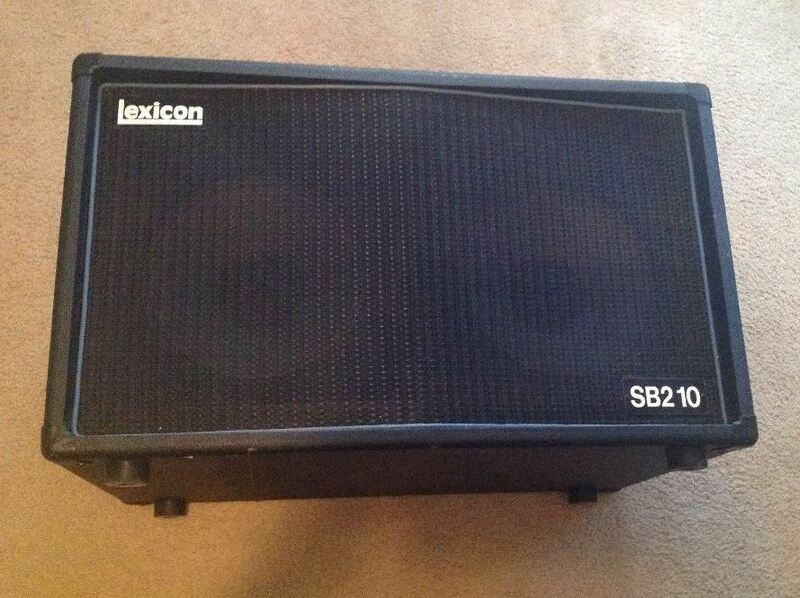 Sounds like you are describing a Lexcion SB210 cab. Split baffle (removable I think) and stereo wired. If you are gonna do a 2X10 wide dispersion, might as well wire it up for stereo or switchable stereo. They also have a really simple trick stand for them too. I've built a cab stands kinda based on their idea. THis stand is friggin genius! Have to DIY one for myself! Thank you for thinking outside the box! Did you construct and test yet? I build cabs for fun and built a 2x12 1936 sized 'cube' [90° dispersion] to solve a finger joint puzzle. Sounds fine but obviously has a large hole in the 'middle' of the sound. I contemplated putting wings or deflectors on the cab to I could tune the sound dispersion for the room. The example 'wing' may need to be longer to fully direct the half of the speaker's output. This may be a better way to tackle your issue as it could be done to existing cabs to test and tune able for different setups. For a test rig to prove the concept I'll probably just use a flat piece of wood to rest on the top of the cab to hold and control the angle of the wings. I know it sounds counter-intuitive, but 10" speakers are less directional and "beamy" than 12" speakers. You may find a standard 2x10 cabinet set vertically is all you need. You know, sometimes I get on to other things, and I 'Shure did let this thread flop'. Apologies! And Yes.. And I friken love it! Right now there's a BL K110 I had in there- which is too bright (or lite on low), and a 'normal 10 a friend gave me. The K110 being 'too bright and louder then the other one- there's a solid piece of 1/2" foam over the JBL left over from the 1-12 combo Mitchell Donut mod project did a 'two for one balancing them. One; The 'donuts do a lot to help in taming 'the beam, this is way beyond that. Second, re 10 vs 12 size. I'd guess you'd likely need to get down into the three inch dome drivers to see real improvements in dispersion -top and down into the mids. DukeLeJeune and MetalGuitard like this. Yes.. And friken love it! 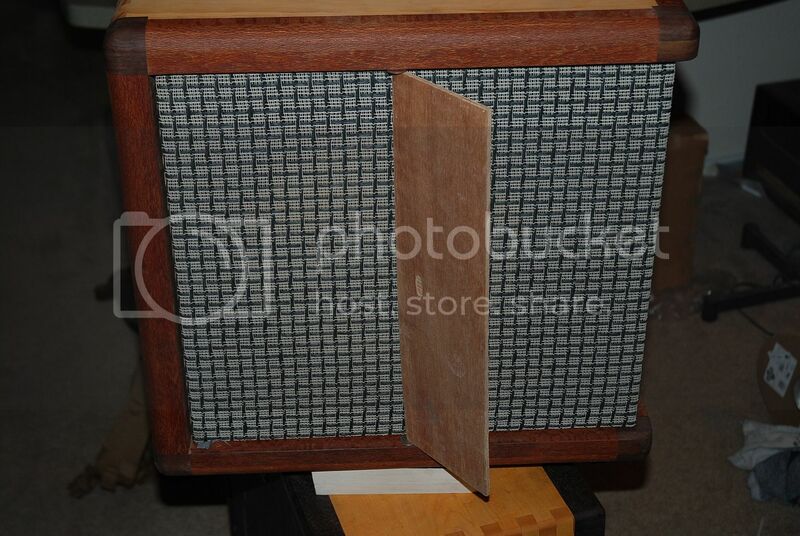 I was thinking at one time (a long time ago >) of those huge JBL slot diffuser 'lens -good to 500hZ or so? Silly, hugely impractical, etc etc .. Thank you for the update and thanks for the pictures. Very nice! Another shout out for Nerby! 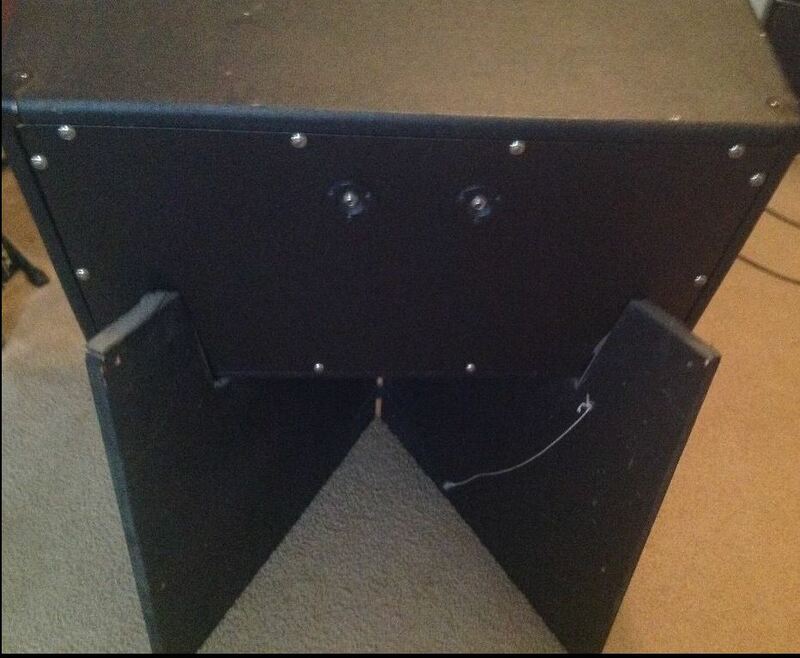 He built me a killer 2x8, Thiele cab, tweed cover - great sound , price , and service! Hi. I play jazz, and a 2x8 can actually put out quite a bit of sound with my tube amps. I have two: one by Nerby, and another by JDesigns -- both are excellent cabs! Portable, relatively light, and they sound great!